Are you having problems with your antenna? 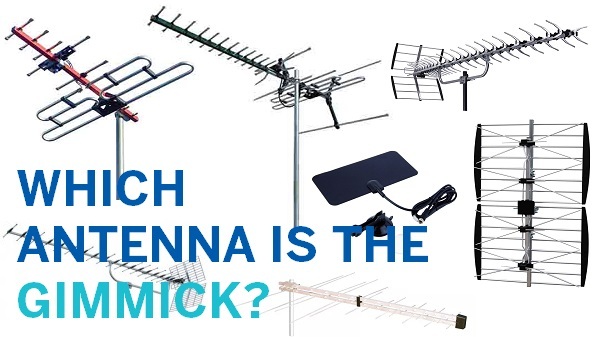 Antennas, even though they seem like such a simple device, can cause so many problems, and it's sometimes hard to know what the source of it is. 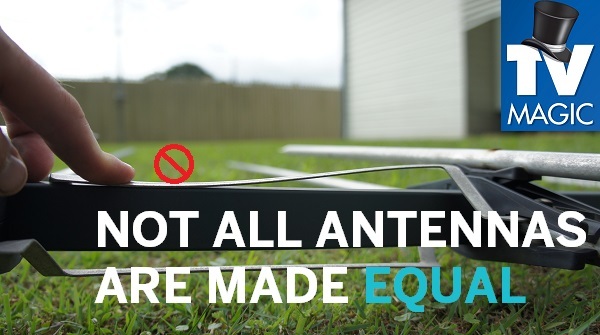 Antennas are vulnerable to storms and wear and tear especially if you don't have a good quality one installed in the first place. 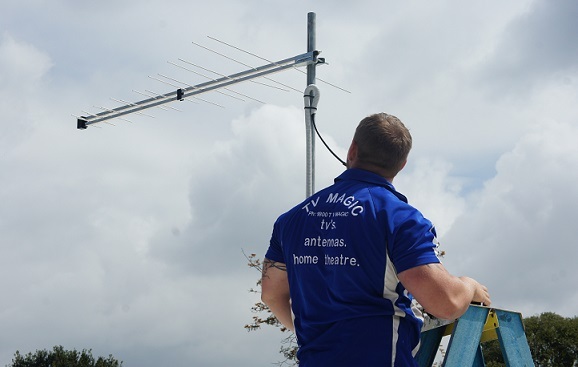 TV Magic have over a decade in TV and Antenna experience, including the installation and repairs, as well as fixing reception problems. 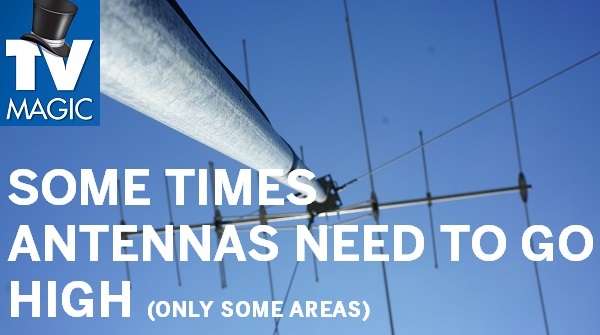 We have all the up-to-date equipment, and whatever your antenna or reception problem is, we've encountered it before. TV Magic Antenna Installation; We Don't Just do The Job, We do a Quality Job! Your TV Magic superhero will make your reception or antenna problems dissapear in no time! Sometimes people attempt to call the cheapest person available but normally, a cheap job is a sign of a low quality job, and often, because these people are in a hurry to get to the next job, they won't put in the time and effort that your TV Magic Technician will. 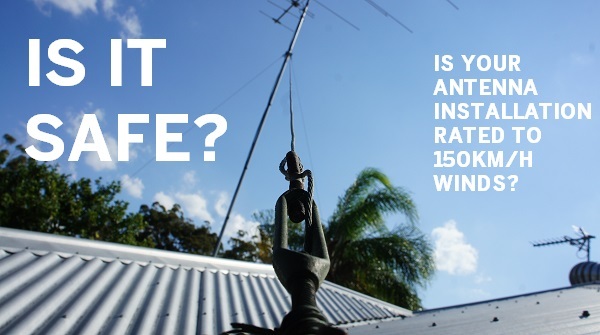 When you call your local TV Magic Technician you can expect to receive good customer service, a job well done and quality equipment such as Australian designed antennas that have a lifetime warranty of 10 to 15 years. Very few TV/ Antenna companies will provide that kind of garuntee for you. So if you're having problems with your TV or antenna, don't call just anyone; call the people that do the job properly the first time and leave you with a properly functioning TV and a professional job. Call TV Magic! What materials are being used in your antenna installation? Not all antennas are made equal. The antenna that is powering your antenna system will determine how long and how good the system performs. For this TV antenna, all it would take is one little bird to sit right there to cause a temporary short out. This will cause an immediate drop in signal strength and quality. As a worse-case scenario a user may experience immediate TV reception symptons such as freezing or pixelation. Best case scenario - it's only a matter of time before the spring in the metal fails to bounce back and it shorts out permanently. This is a typical design flaw. Antenna installation that won't leave you paying twice - don't let this be you! On a weekly basis, TV Magic replace worn out, underperforming TV antennas that are no longer serving their purpose. The reasons why they are under-performing are numerous but here are a couple ..
Why need an antenna installation at all? 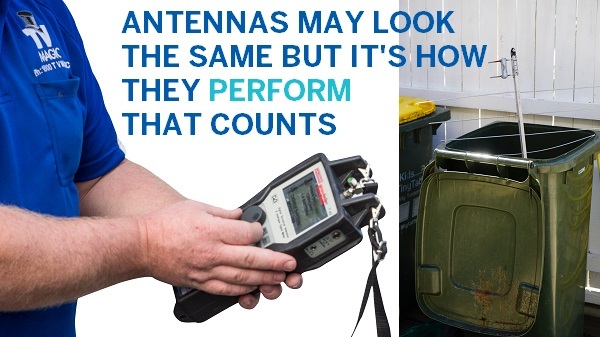 An antenna installation is only going to have long lasting performance if the correct antenna is used for the area! Neighbours only watching TV at a certain time of the day - happens to be the time of the day when the signal is just "ok"
TV Magic have years of experiencing extended masts and high mast antenna installations. Our installations are designed to withstand 150km/hr winds. Basically that means that the tiles on a roof should be coming off before any cyclonic wind will blow it over. This is important as it is not that common to have 100km/hr winds at 5m above roof top level during a severe storm. 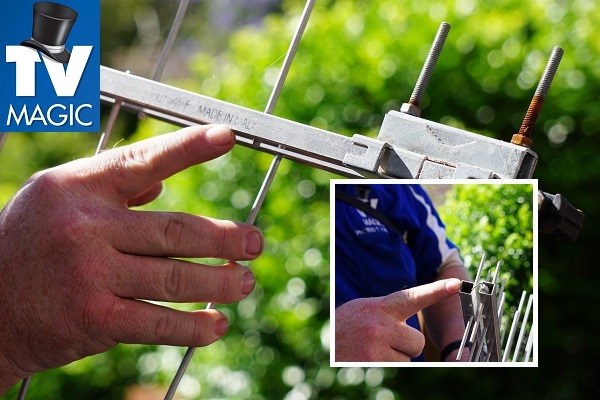 Book your antenna installation online - an SMS will be sent to your local technician. We have no call centres / receptionists. You can call your local technician directly! Book below to reveal your local technician. Having TV reception problems? Pixelation? One channel dropping out or freezing? Why does that happen? How is digital Tv different to analogue? Why do you only get problems on one TV point or only on one TV channel? The following videos give you some answer to all of the above. These are very commonly asked questions. Basically, any problems you are experiencing will not fix themselves. They may come 'good again' however, this will be temporary. By Calling TV Magic we can ascertain by using our 'field strength meter' just how good or how bad your TV channels really are. When we test, we are looking to see if any channel is reaching minimum signal requirements. This will make sure there is enough 'head room' for fluctuation for bad weather, trees, a few broken elements and other factors that effect signal strength and signal quality. If these minimal requirements are not met, yes you may still have a 'perfect clear picture' however the BIG QUESTION is; for how long for? Yes your bald tyre does keep air in it and drives your car around, but obviously it's not going to take a nail or a bit of glass on the road as well as a brand new tyre. Canberra Award winning TV - Antenna - Home Theatre installation service. 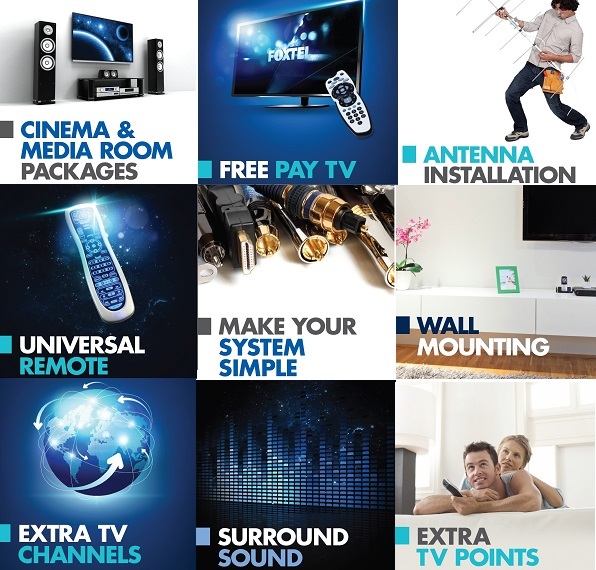 We install TV points, Universal Remotes, TV wall mounting, cinema rooms, MaTV and more.